Here are the Top Extra Large Dog Beds With Sides that we found online for you to purchase! A great dog bed will give you a happy dog, but with so many out there, it’s hard to choose! These beds all come in various larger sizes with sides or backs that make them even more comfortable for your dog to lounge on and sleep. Read on to find out why we think they’re the best beds out there! The Big Barker Orthopedic Bed For Large Dogs is similar to a chaise lounge with one end having a pillow/side and the rest open. It’s a nice longer bed for your larger dog and has a great 7” thick pillow top that makes it super comfy for them to lounge and sleep on. It ONLY comes in large sizes! In fact, they have a GIANT size that’s 60″ X 48″ big! That’s big enough for even the greatest of Great Danes! This bed is handmade in the USA in a small California workshop, so you know a lot of love goes into its design and creation. 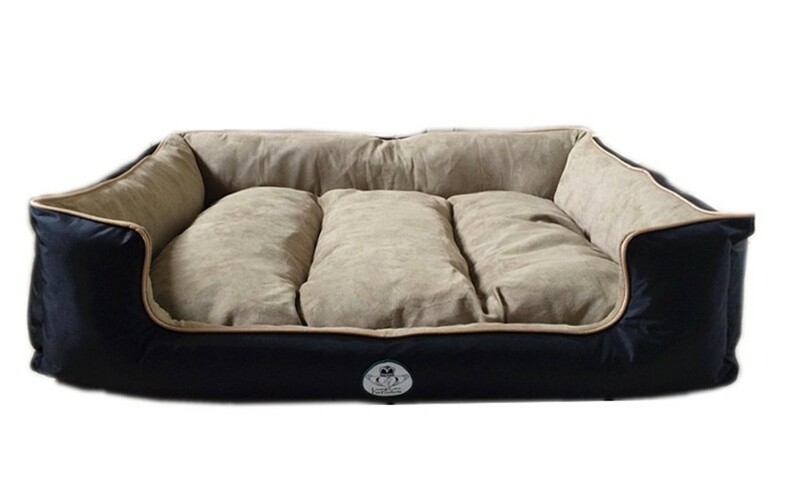 The Loving Care Ultra Supreme Lounger Style Dog Bed is super plush and comfy! 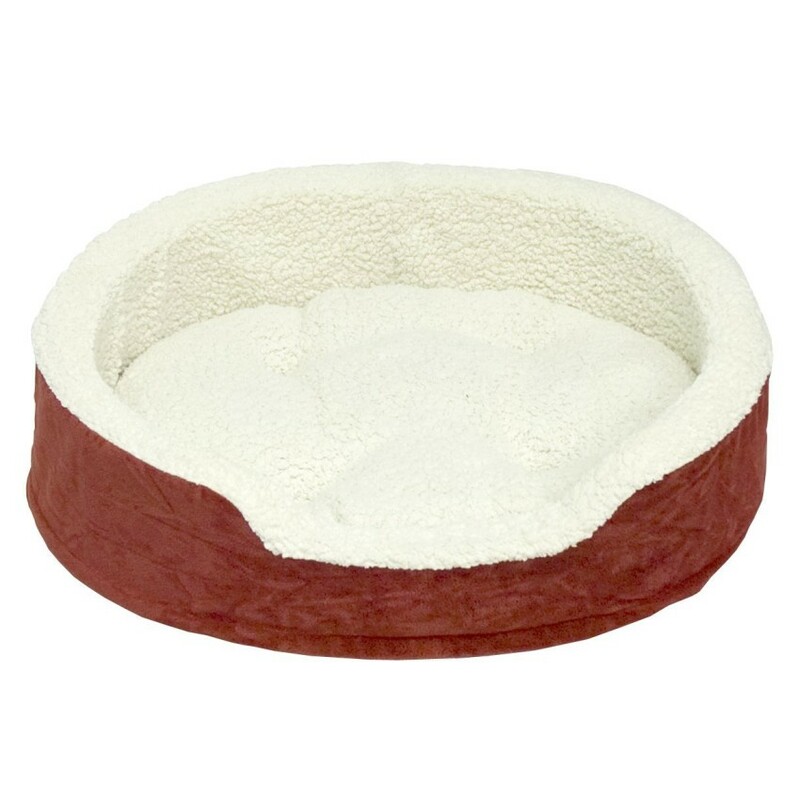 The high sides make it feel extra cozy for your large dog to rest and relax on. You don’t have to worry about accidents or spills since the microfiber cover comes off and can be washed. It’s also reversible. In fact, each section can be removed and washed individually. The XL size measures 40″ x 32″. The Pet Fusion Ultimate Dog Lounge And Bed is definitely one of my favorite extra-large dog beds with sides! 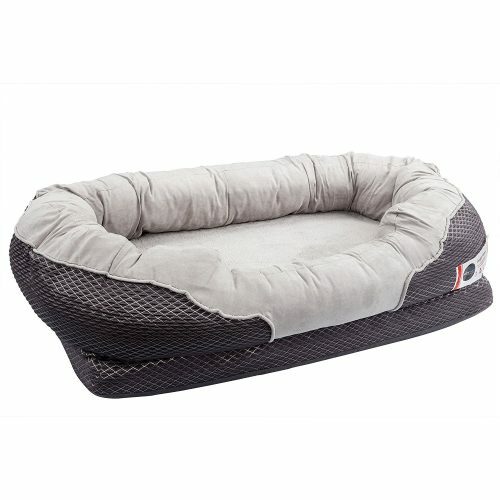 This is a super plush nice larger bed with soft sides that any dog will enjoy lounging in. The removable cover is machine washable and a great choice for those that want to make sure their dog bed is super clean. It comes in three different larger sizes ranging from 36×28″ to 50×40″. The Happy Hounds Oliver Dog Bed is a fabulous choice for those on a tighter budget. The large size is under $75. 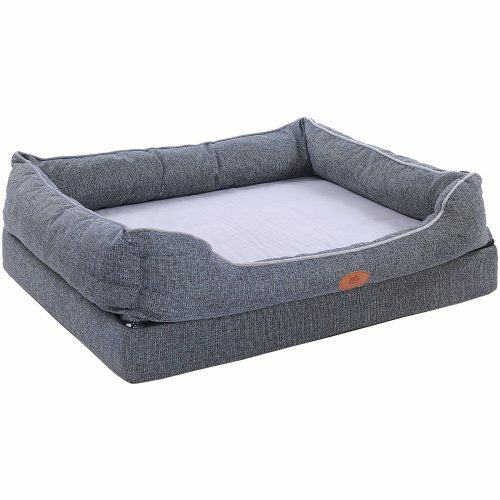 This is a great choice for the dog who likes a little more texture bed to sleep in. The water resistant, heavy-duty microfiber fabric cover offers the plush and soft feeling that your dog needs to feel like they are snuggled against another animal for warmth. It’s a favorite with the high sides. 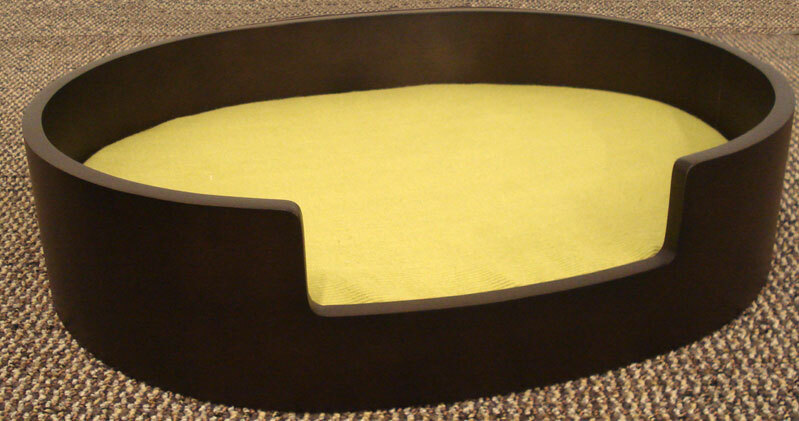 Okay, bear with me, because I know the Noz2Noz SofCarte Indoor Pet Bed doesn’t really look like a dog bed. Yes, it’s more like a crate, but it’s actually perfect for dogs that crave a little privacy while they sleep. I love it because it travels easily since it’s not terribly heavy or bulky like a standard crate. 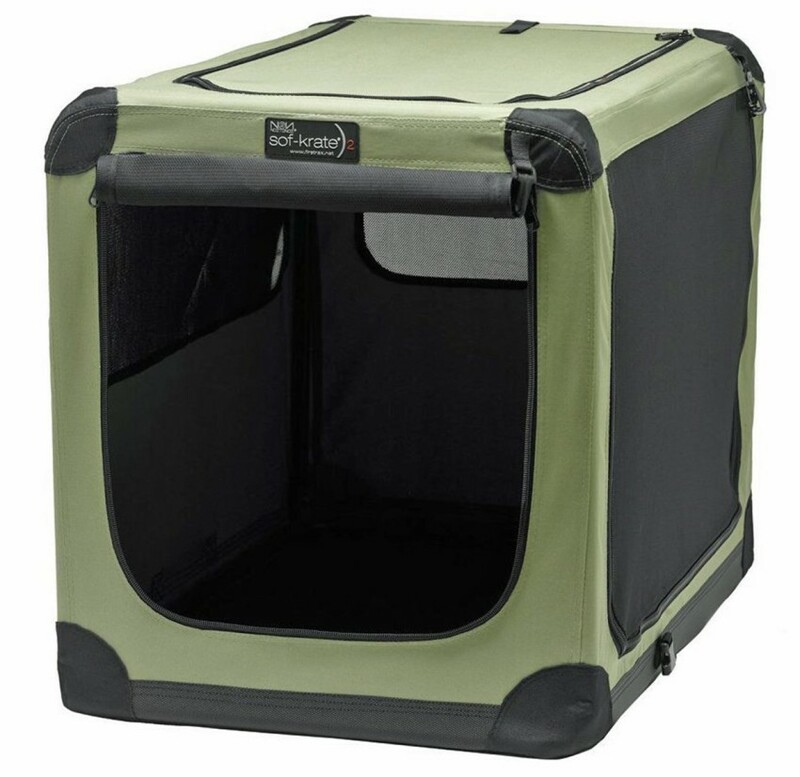 Plus, your dog will be used to sleeping in it and will feel safer no matter where you travel. The largest model is 42 inches and fits dogs up to 90 pounds, so it’s not ideal for giant breeds. 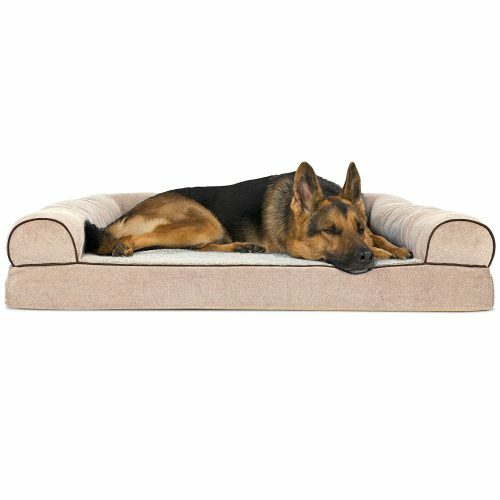 If you’re looking for the most eco-friendly extra large dog beds with sides, you really can’t go wrong with Only Natural Pet’s Sweet Dreams Lounger. The large bed measures 39″x32″x10″ and is perfect for dogs up to 80 lbs. This fabulous bed comes in two styles: the classy Charcoal Grey and the more colorful Santa Fe. The material itself is made from upholstery grade microfiber and has a hypoallergenic fill crafted from recycled plastic bottles. The pillow is reversible, letting you get a little more time out of it before popping it in the wash. It’s handsewn in the USA. The Otis and Claude Sleep Oval is part dog bed, part home décor! It’s ideal for those looking for a modern design. The sides of the bed are made from real veneered bent wood, so it will last a long time. 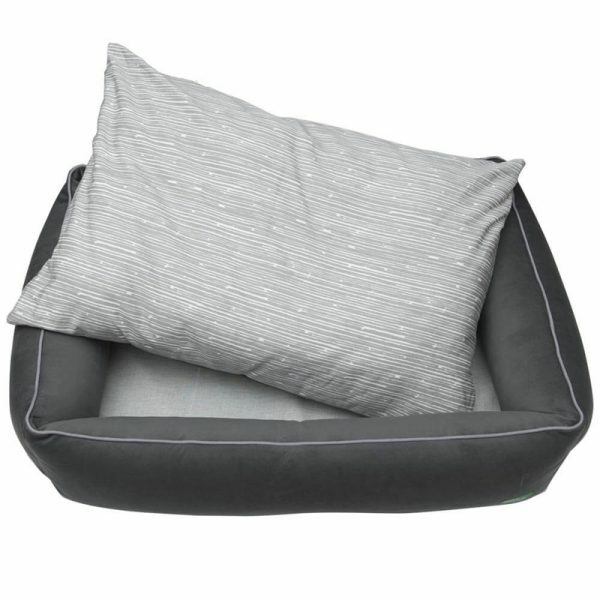 The cushion is reversible and made of memory foam to give your pooch the ultimate comfort. At 35.4L x 29W, it’s probably the smallest of the extra large beds, making it ideal for large dogs on the smaller end of the spectrum, if that makes sense. 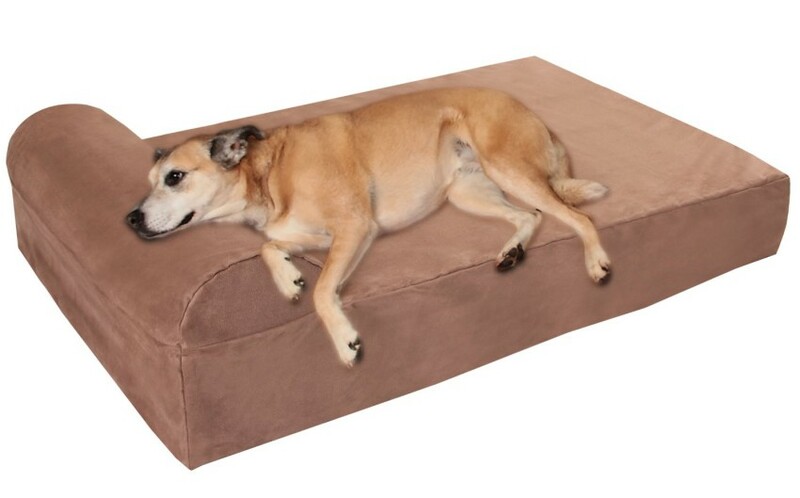 I am absolutely in love with the FurHaven Orthopedic Dog Couch Sofa Bed. It looks just like a couch! While it comes in a Large size, for big dogs you’ll want the Jumbo, which measures 44″ x 35″ x 4.5. The surface itself is covered in faux fleece that is so comfy and cozy. Inside, it’s filled with orthopedic foam to help easy your senior dog’s aching joints. The sides a soft, perfect for your dog’s head or for resting tired paws. It comes in multiple styles and colors, so it will fit in perfect with your home décor. 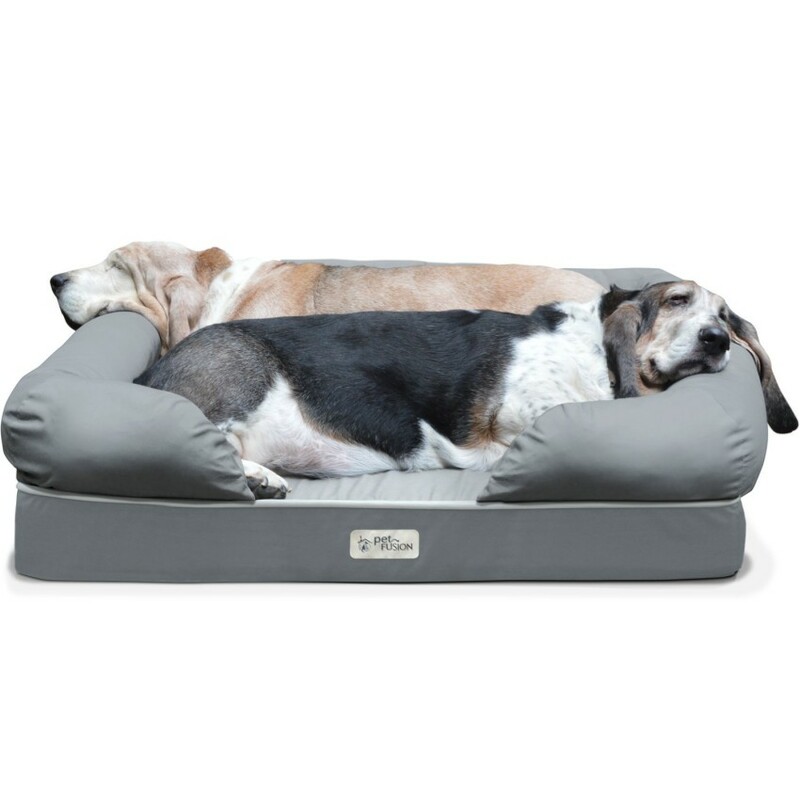 The BarksBar Gray Orthopedic Dog Bed is another great choice for senior dogs who need extra cushioning. The large orthopedic sleeper measures 40” x 30” x 10″, making it one of the thickest extra large dog beds with sides on our list. Every part of the bed from the inside out is crafted with only the best, top-of-the-line materials, including a foam base and an ultra-soft cover. Speaking of the cover, you can pop it off and throw it into the washer on the gentle cycle. The material itself is also really easy to spot-clean. I also love that it comes with a non-slip bottom, so it won’t slide around on hard wood floors. The PLS BIRDSONG Fusion Orthopedic Dog Bed is a new style bed from PLS Pet that is quickly becoming a top seller. The extra-large bed has a sleep surface of 36″ x 26”, making it ideal for dogs over 60 lbs. Like most of the beds on this list, the cover comes off, so you can toss it in the washing. There’s also a waterproof liner to protect against accidents. Inside the bed, your dog will rest easy on the extra-firm medical-grade memory foam. One of the biggest selling point to me, though, is the heavy-duty fabric. 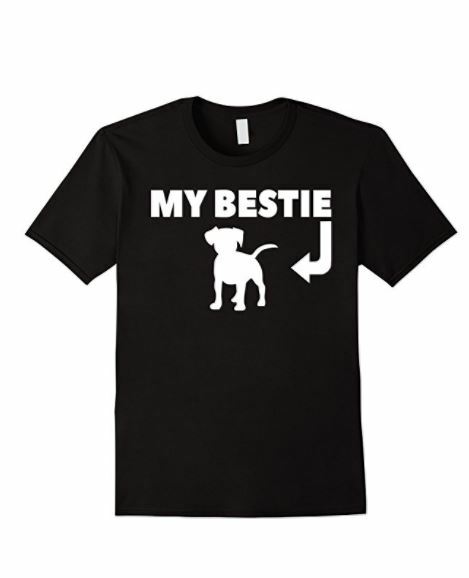 It can hold up against your dog’s nails and bites. These great extra large dog beds with sides are going to make mans best friend feel safe and secure at bedtime. Whether your dog uses the bed to nap during the day, or for all of their sleep time, this list is full of great choices. High sides, low sides, multiple fabric choices and sizes make this list a great place to start if you own a large breed dog. Which of these top extra large dog beds with sides would your pooch love? Tell us in the comments!